It has been over a month since the last update for the Game Pencil Engine. Time and time again I have wanted to simply just push out the newest updates; but I decided to make sure all of the stuff in the key vision of Game Pencil was implemented. Please note, the OSX module is a little bit more tricky due to the strict processes that Apple has for it’s developers. 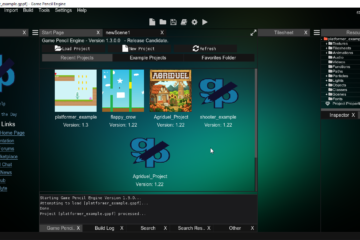 In terms of the IDE finally going cross-platform; the goal is to release on multiple Linux distributions. Due to my lack of skill in Linux I have been depending on CodeBlocks as my chief IDE. That being said I have CodeBlocks working on my VirtualBox version of Ubuntu and I plan to release in whichever order is less of a hassle. With the technology in Game Pencil being entirely portable there should be no hickups besides me ensuring that I have the correct dependencies and such installed. 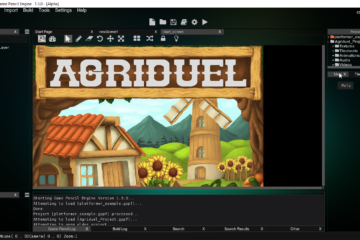 There will also be a huge increase in the amount of examples that come bundled with the IDE. Since we are using Electron, the newest update’s file size will increase by about 256MB. Stay tuned for the massive update of 1.0.2, which should be renamed to 1.2.0.